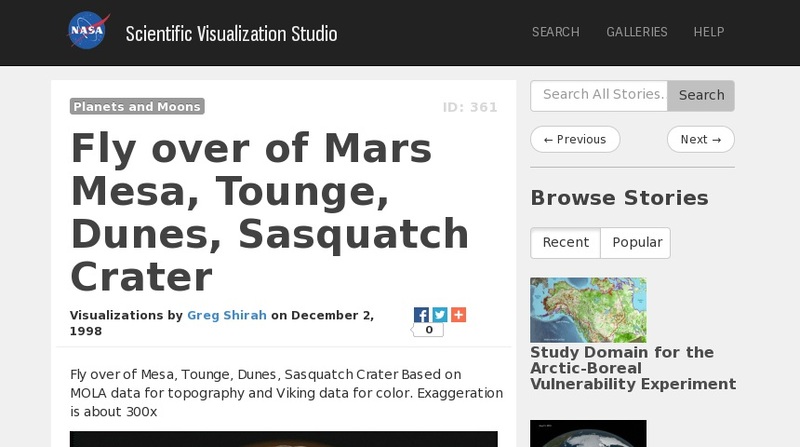 This site from NASA's Scientific Visualization Studio features fly overs of Mesa, Tounge, Dunes, and Sasquatch Crater. Data for topography is based on the Mars Orbiting Laser Altimeter (MOLA) with Viking data used for color. Vertical exaggeration is about 300 times.